I've made quite few public appearances over the past year -- and videos of some of them are posted online. At the conference Jewish Heritage Tourism in the Digital Age, held in Venice October 23-25, 2017, there was an event celebrating 25 years year the first edition of my book Jewish Heritage Travel was published — and 15 years since my book Virtually Jewish: Reinventing Jewish Culture in Europe. 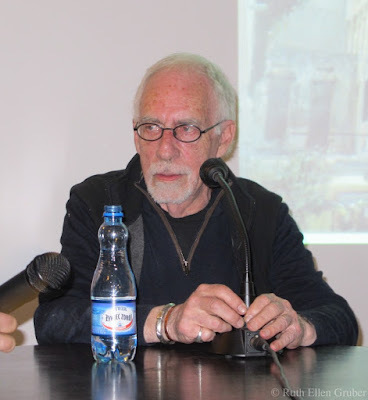 The event was a conversation between me and Shaul Bassi, of Ca’ Foscari University and Beit Venezia, looking back on my involvement in Jewish heritage over the past nearly 30 years. As in the Venice conversation, in the talk I reflected on the changes that have taken place in Jewish heritage tourism since the publication of the first edition of my book “Jewish Heritage Travel” in 1992. 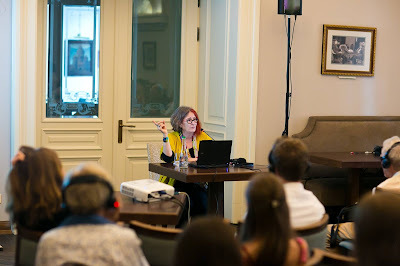 I recently spent a week in Ukraine, where I gave the concluding talk, July 27, in a series of lectures called "Jewish Days in the City Hall: (Un)Displayed Past in East European Museums." The lecture series focused on a number of questions related to Jewish museums in Eastern Europe: "What are the Jewish museums of Eastern Europe telling us about? What are the challenges that Ukrainian museums face when including Jewish history into the dominant narrative of their exhibitions? What are the perspectives for historical museums of Ukraine in a global context? How do they see their role and mission in developing critical perception of the history of Ukraine and shaping participatory historical culture in the present-day society?" In my talk, I reflected on the changes that have occurred in the Jewish heritage and Jewish heritage travel field in the nearly 30 years that I have been involved -- and specifically in the 25 years since the publication of the first edition of my book "Jewish Heritage Travel" and 15 years since "Virtually Jewish: Reinventing Jewish Culture in Europe." The themes were similar to those in a presentation I gave a month earlier in Glasgow, at a conference on "Dark Tourism" that focused on Dark Tourism at Holocaust, Nazi and World War II sites; my presentation was called "From Dark Tourism to Tourist Attractions". 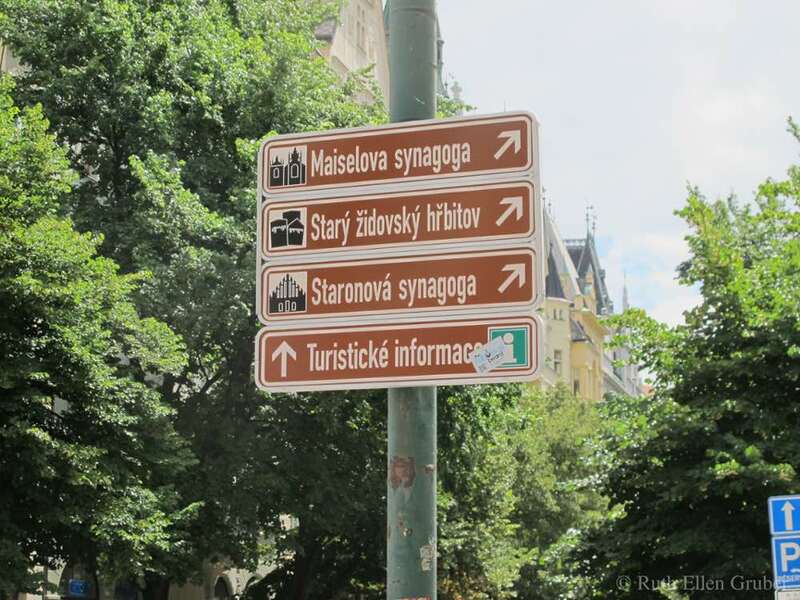 When I started writing about Jewish heritage sites and Jewish heritage tourism, almost any visit to a Jewish heritage site in eastern and central Europe was a form of "Dark Tourism." Most Jewish heritage sites such as synagogues and Jewish cemeteries were neglected, ruined, abandoned or transformed for other use. There were only a handful of Jewish museums and almost no Jewish heritage sites were mentioned in guidebooks or even local histories. The evolution since then has been dramatic, regarding infrastructure, information sources, agencies of display and deep-seated attitudes to travel, heritage, and Jewish presence (and fate) in the region. Ruins still abound, and many sites and experiences remain deeply tragic. But scholars, genealogists, tour guides, governments, cultural and heritage entrepreneurs have studied, mapped and documented almost everything; some continue to sink into oblivion, but others have been opened up for unprecedented travel and educational opportunities as well as for commercial touristic exploitation. Local guidebooks, web sites, and other resources provide a wealth of information. Many Jewish heritage sites that were once tragically abandoned have become attractions, increasingly on mainstream travel itineraries that mix the "Dark" with the Destination: a glossy brochure I once read promised that a four-star Jewish Heritage Cruise down the Elbe River would "look both backwards and forwards, reviewing the rich Jewish culture of key cities, confronting the atrocities of the Second World War, and embracing a positive future." During my week in Lviv, I took two day trips to visit Jewish heritage sites in the region -- we visited nearly a dozen. I had wanted specifically to revisit places I had seen earlier, in particular in 2006, when I researched the latest version of my Jewish Heritage Travel book, to see the changes. Much of what I found was as distressing as I had found in years ago, or in some cases even more so -- but there were also some positive developments. I have written about some of these visits on the Jewish Heritage Europe web site -- and I will cross post them here, too. NOTE: This was originally published on the Jewish Heritage Europe web site, which is having server problems so it might not be possible to access it there. Holocaust -- "My Grandparents' Holocaust"